home › posts › 10 amazing spots where natu... ten trees planted for every item purchased. Over the course of thousands of years, and across great civilizations, nature always seems to have the upper hand. If your love of history melds with your passion for nature, then these 10 incredible spots are worth a visit to expand your mind. Ta Prohm Temple is perhaps the most famous temple in the ruined city of Angkor Wat, or “City of Temples,” in Cambodia. Angkor Wat is the largest religious monument in the world, and was once the sprawling capital of the Khmer empire before all its people fled. For more than a century, the temples have been sleeping as the surrounding jungle grows over it. 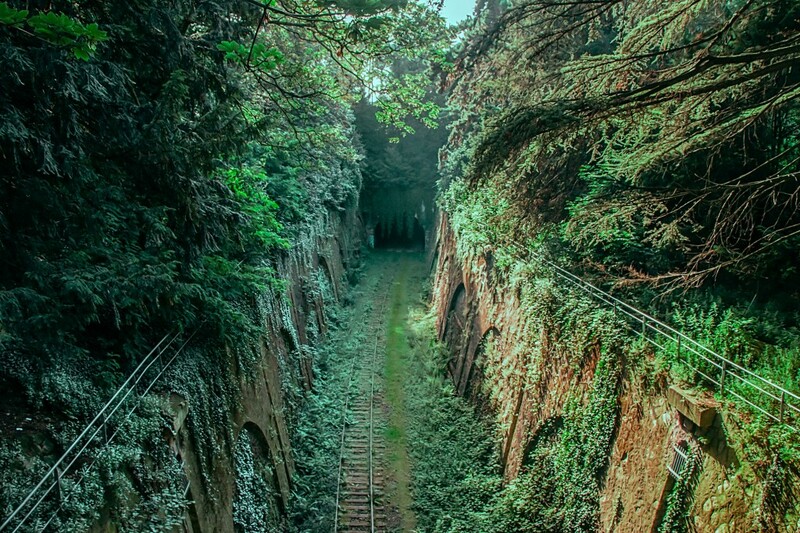 Abandoned in the 1930s, the Petite Ceinture (meaning “The Little Belt”) was a railway line in the center of Paris that is now mostly overrun by grass and greenery. If you’re an off-the-beaten-track type of tourist in Paris, this abandoned railway is for you! The ancient Romans brilliantly built aqueducts to bring water to their cities for public baths, fountains, and private homes. These aqueducts also served as a sewage system, keeping public places clean. They stretch across swaths of land in France, Spain, and Italy, though now they stand abandoned and largely overtaken by the surrounding trees and landscape. Over the course of centuries, plenty of shipwrecks landed at the bottom of the ocean floor, but as time wore on they became less a human creation and more a habitat for diverse sea life. The small nooks and spots within the ship frames serve as excellent artificial reefs and homes for a variety of fish, invertebrates and algae. The Tunnel of Love in Ukraine seems more like a fantasy scene than a real place, but real it is. Located in Klevan, a small town, the railroad is meant for a private train that carries wood, 3 times a day, to a local factory. But the surrounding forest grew to largely overtake the railroad, and trees formed a natural tunnel through which the train rolls. It’s a popular tourist spot, especially for lovers, and yet another reason why planting trees like Tentree can bring more beauty to our earth. The Incas built Machu Picchu into a mountain over the Sacred Valley in Peru around 1450, but it was abandoned a century later during the Spanish Conquest. The city was largely unknown and untouched to the outside world until 1911, and since then has been named a UNESCO World Heritage Site. Spanish for “The Inca’s Bridge,” the Puente del Inca is a natural bridge that formed over the Vacas River in Argentina. The odd formation is likely a mixture of extreme elements of nearby ice and hot springs — resulting in sulfurous water that petrified over time, creating a pathway of sorts over an abandoned railway station. 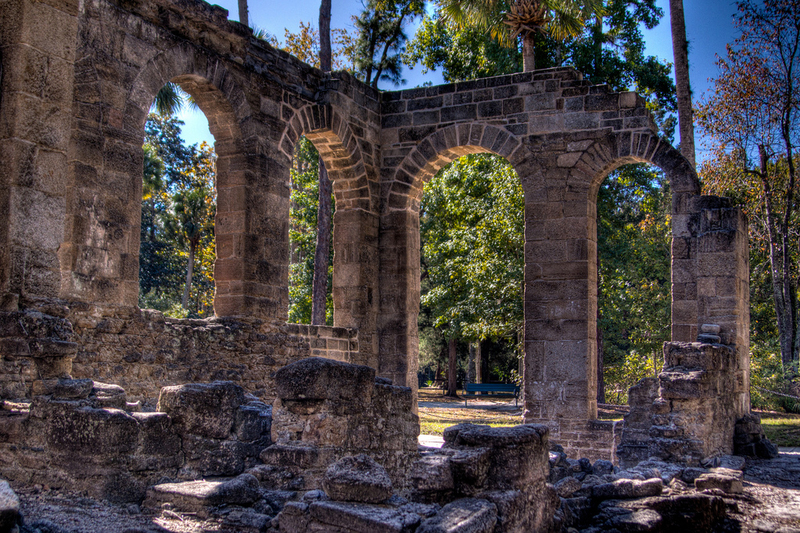 There are some pretty cool ruins in Florida (who knew?) They were once a steam sugar and saw mill in the 1830s, but they were destroyed by Native Americans a few years after they were built. The Valley of Mills in Sorrento, Italy were built and running since the Middle Ages, according to National Geographic, and they were used for making wheat. But in the mid-1800’s, the mills slowly became abandoned as industrial outlets grew in other areas; and now they’re a popular tourist attraction if you’re looking for a spooky but beautiful adventure. Though this isn’t the real nature you can find in New York, this 1930’s abandoned airplane hangar is closer to the city than upstate hikes, and it’s an interesting place to explore. If you can slip inside the hangars, you’ll get a glimpse of how nature has overtaken the building. The post 10 amazing spots where nature has reclaimed man-made things appeared first on tentree.